What is a Smart Meter? The UK government are currently working towards installing smart meters in every home by 2020. But what is a smart meter and what benefits will the mass smart meter rollout bring to consumers, the industry and the UK (and world) as a whole? The UK government are currently working towards installing smart meters in every home by 2020. But what is a smart meter and what benefits will the mass smart meter rollout bring to consumers, the industry and the UK (and world) as a whole? How much will it cost consumers to have a smart meter installed in their property and how will their data and wellbeing be protected? This article answers all of these important questions as the government’s target date comes ever closer. What are Smart Meters and How do they Work? In addition, all energy companies will provide consumers with a portable display screen which will show them how much electricity and gas they are using (in kWh) on an hour-by-hour, weekly and monthly basis and how much this is costing them in real money. Although every display screen will look different, each must provide the minimum stipulated by tough new consumer laws. What Benefits do Smart Meters Provide? There are many benefits to using smart meters, from more accurate billing to greater control and understanding of energy usage from both the consumer and supplier side. Monitoring energy usage in the home will be made much clearer and simpler with smart meters and their associated portable display screens. 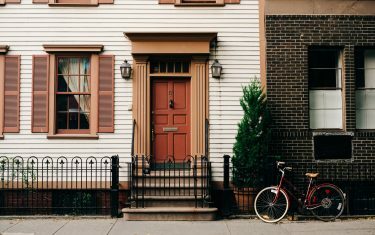 Homeowners will be able to see how their lifestyle choices are reflected in the consumption – and cost – of their electricity and gas. With electricity usage updated every ten seconds and gas usage updated every half an hour, fine management of consumption will be possible. Once the smart grid is fully operational, it is expected that homeowners will be able to switch to a new supplier in as little as half an hour, increasing the consumer’s power to secure the best deal. In addition, the near real time data collected by suppliers will help them to create more intelligent tariffs. All of the above benefits will work together to help consumers, energy companies and the energy network providers to transform the UK into a 21st Century efficient, low-carbon energy generating nation. 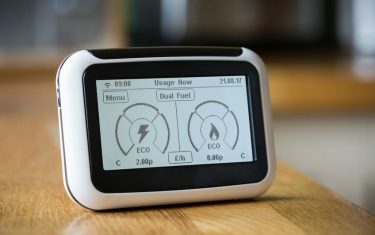 How Much Will Smart Meters Cost UK Energy Consumers? The rollout of the smart meter project has already been costed into customers’ existing installation and maintenance service charges. Therefore, there will be no additional cost to end users of having smart meters installed in their homes. The smart meter rollout has been accompanied by a raft of new consumer protection laws and codes of practice. All smart meter data will be securely transmitted over the DCC network and customers will get to choose whether they want their usage communicated on a half-hourly, daily or monthly basis. They will also control whether their information can be sent to price comparison sites or used for sales and marketing purposes. All smart meters installed in the UK will be covered by UK and EU product safety laws and will be installed by rigorously trained engineers. With 50 million smart meters destined for 27 million UK homes, there is a huge and growing demand for smart meter installers. ECTA Training, one of the UK’s foremost industry skills training companies are currently accepting applications for Diplomas from both those within the energy industry and those new to the field. Please call 0161 4805656 or email [email protected] for further details.